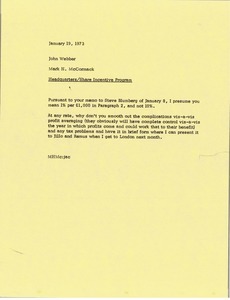 McCormack instructs Webber to smooth out the complications by profit averaging. 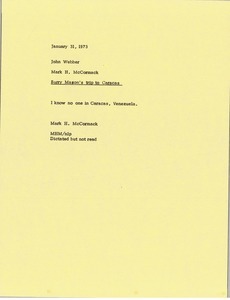 McCormack notes that he does not know anyone in Caracas, Venezuela. 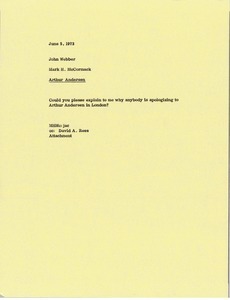 McCormack asks why anyone is apologizes to Arthur Andersen in London. 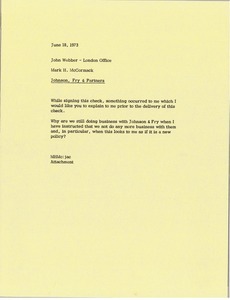 McCormack asks why they are still doing business with Johnson and Fry. 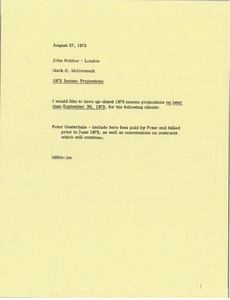 McCormack requests 1974 income projections for Peter Oosterhuis. 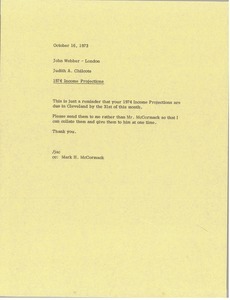 Sending a reminder that 1974 income projections are due by the 31st of the month. 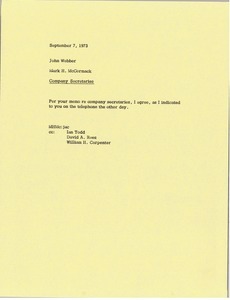 Chilcote would like them sent to her so that she can collate them and give them to McCormack at one time. 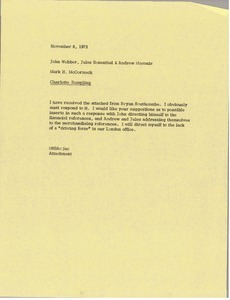 Memorandum regarding actress, Charlotte Rampling. 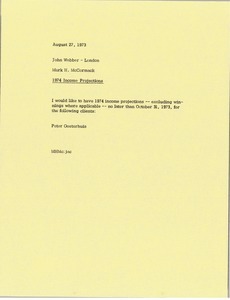 McCormack sends an attachment from Bryan Southcombe. Enclosure not with memorandum. 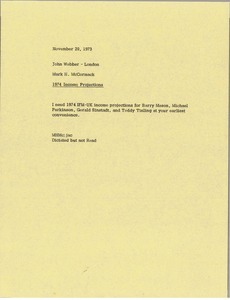 McCormack needs 1974 International Financial Management/United Kingdom income projections for Barry Mason, Michael Parkinson, Gerald Sinstadt and Teddy Tinling.